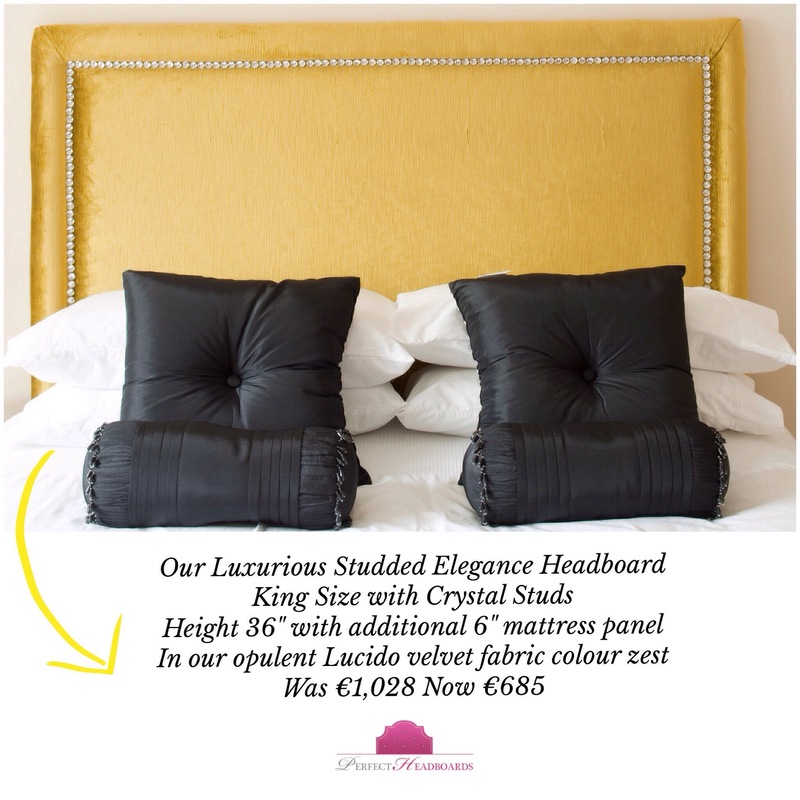 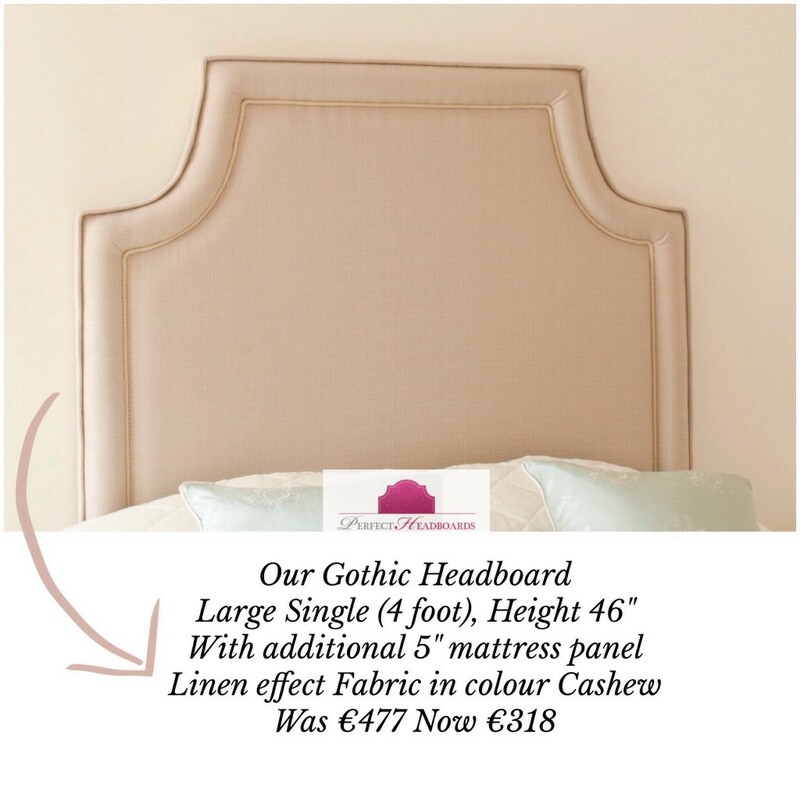 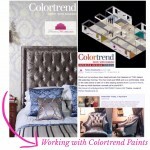 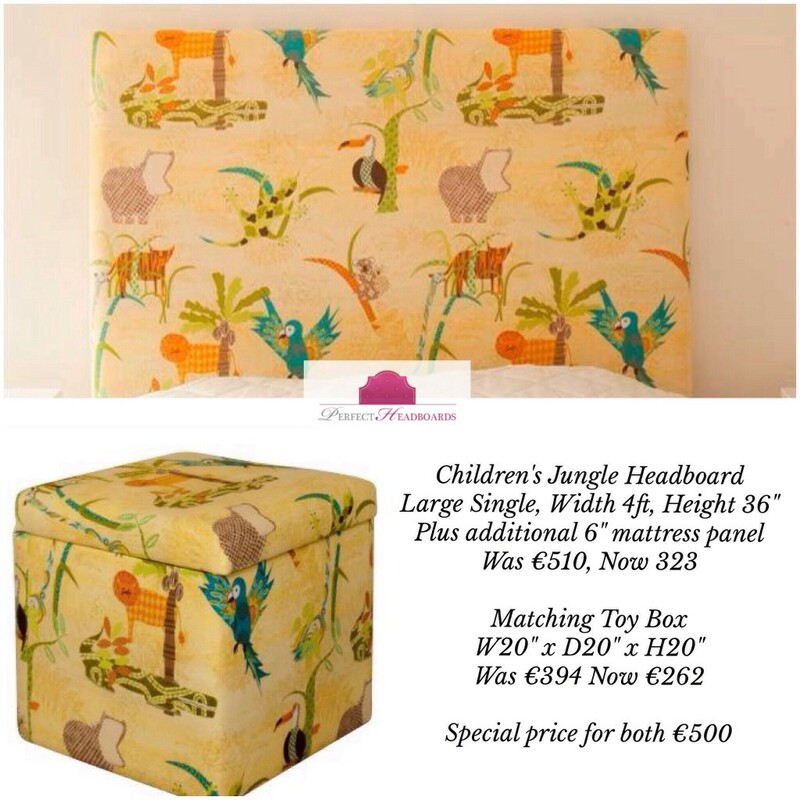 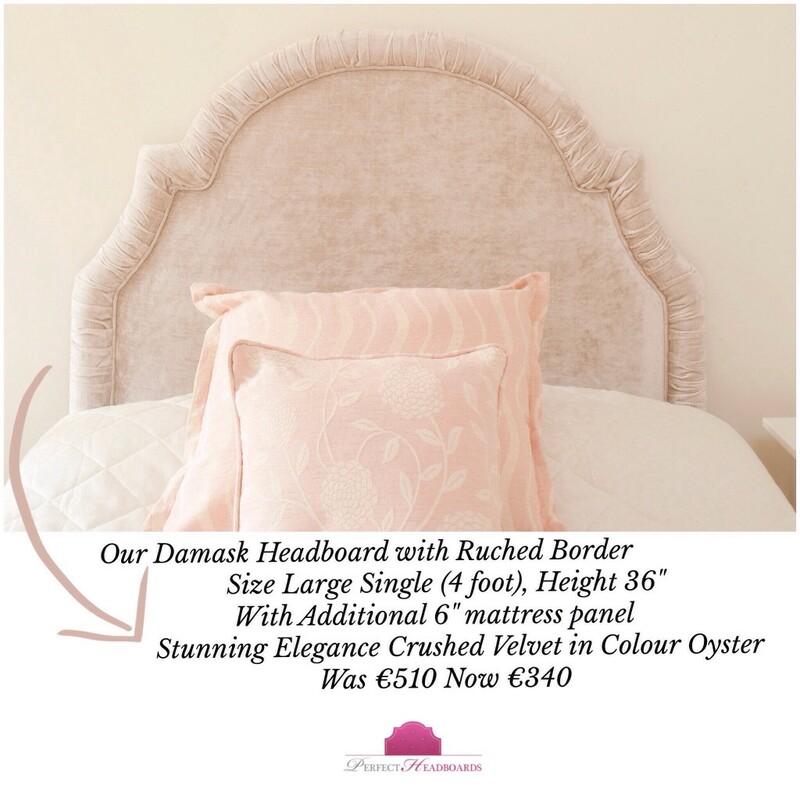 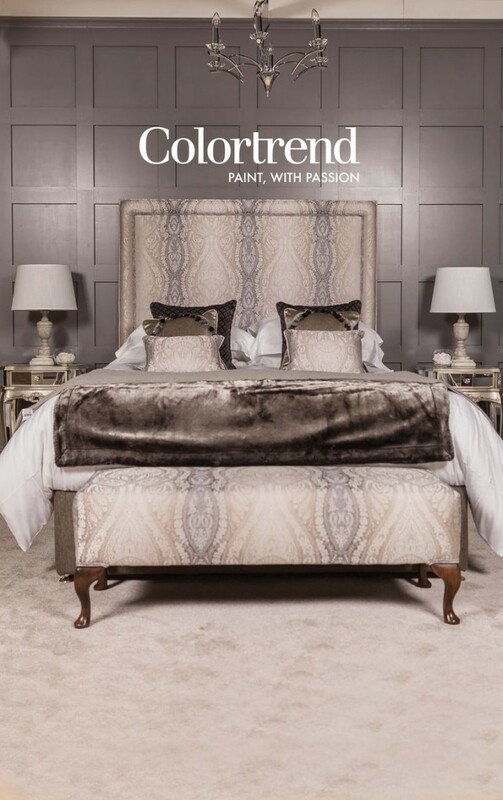 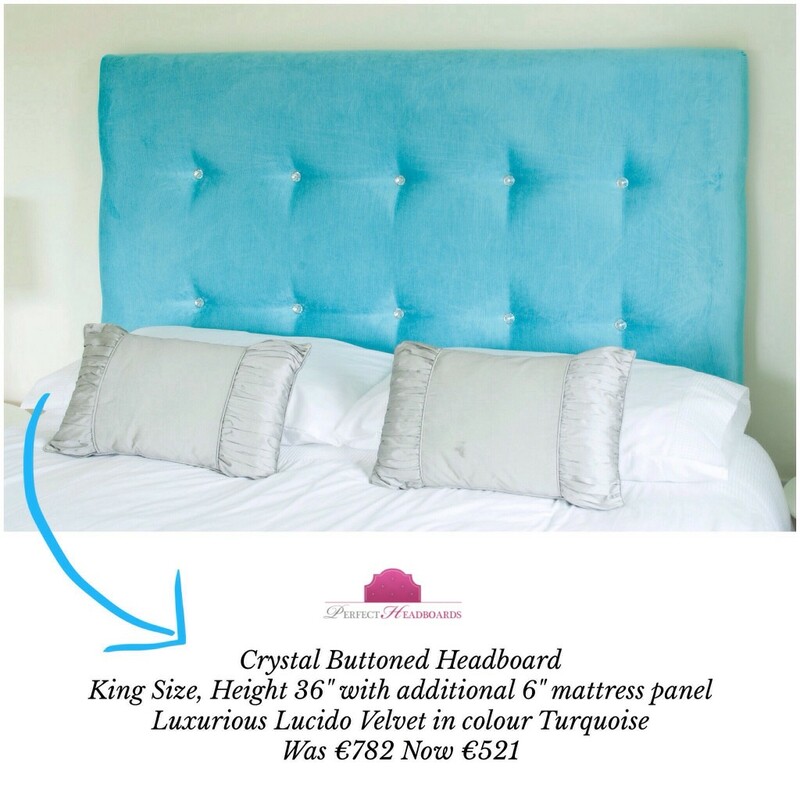 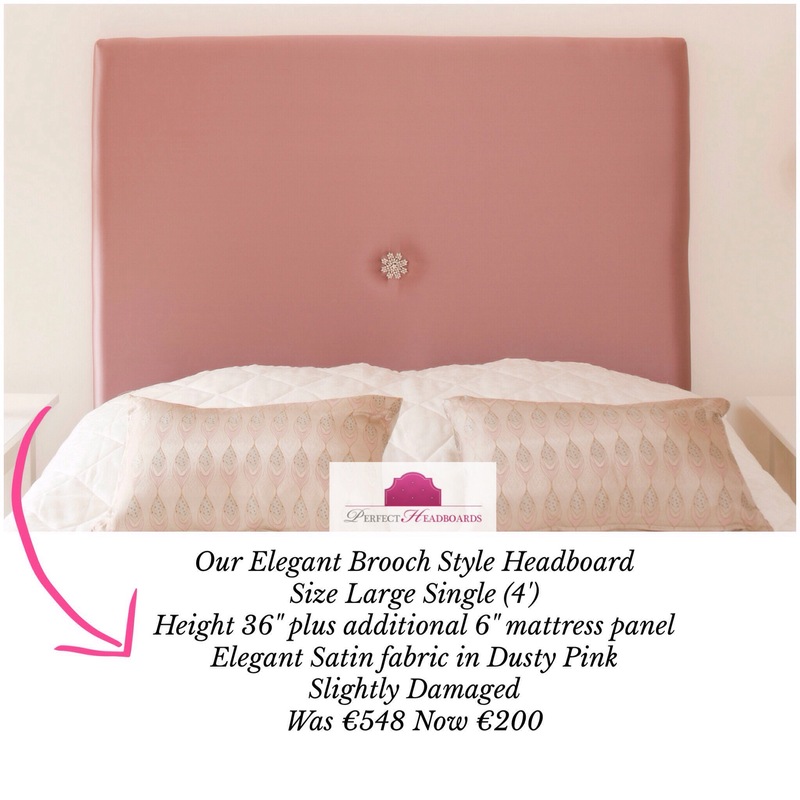 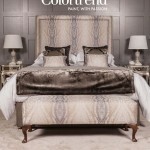 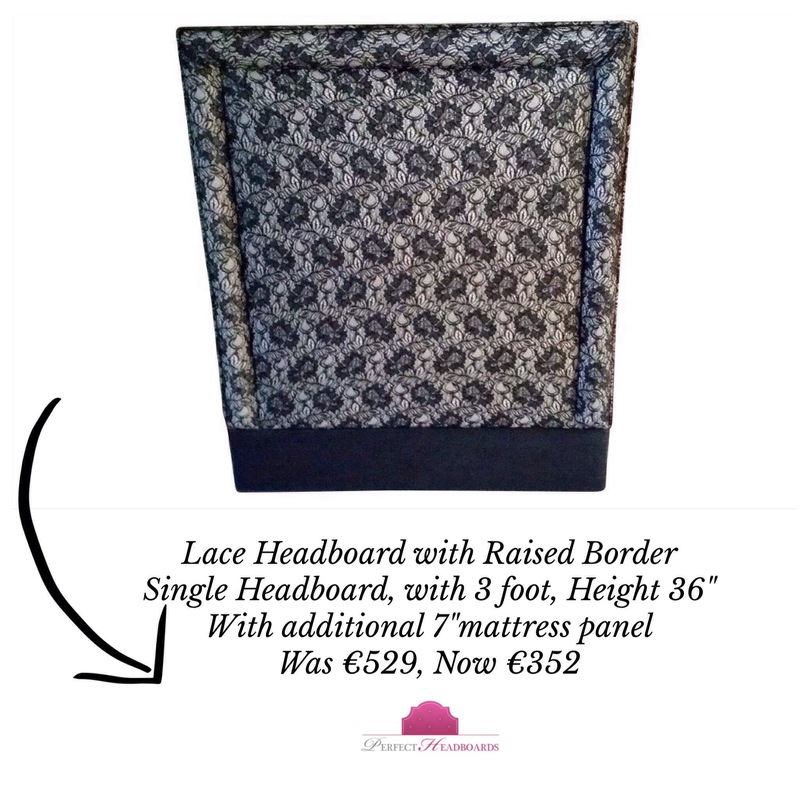 We are delighted to announce our Massive Stock Clearance Sale of our Ex Display Headboards, Curtains and Furniture. 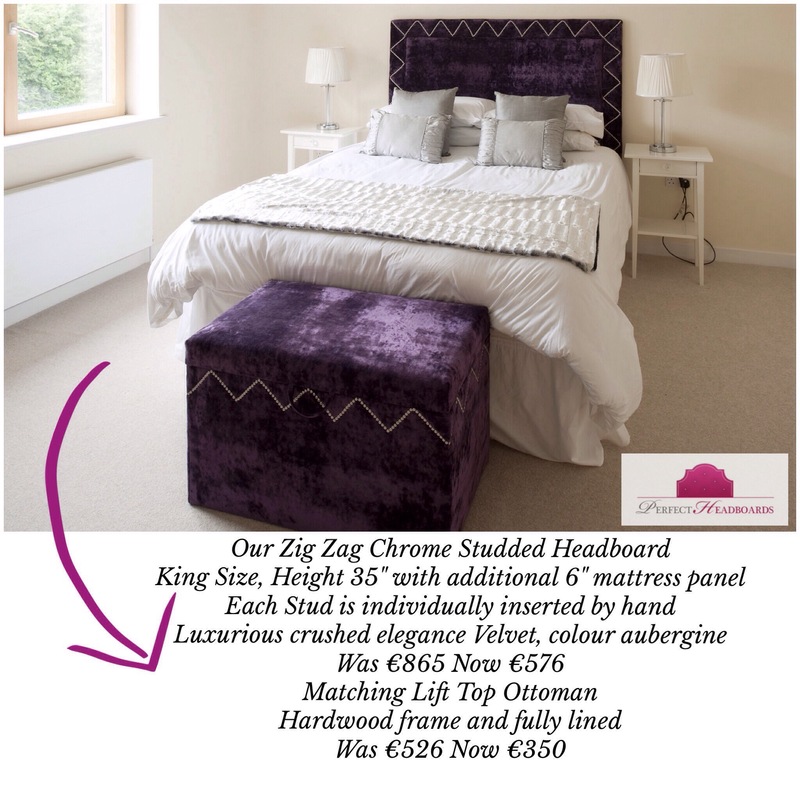 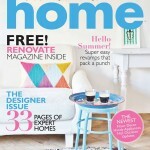 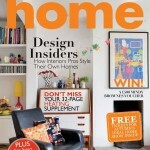 This is the perfect opportunity to find a bargain with guaranteed pre Christmas Delivery. 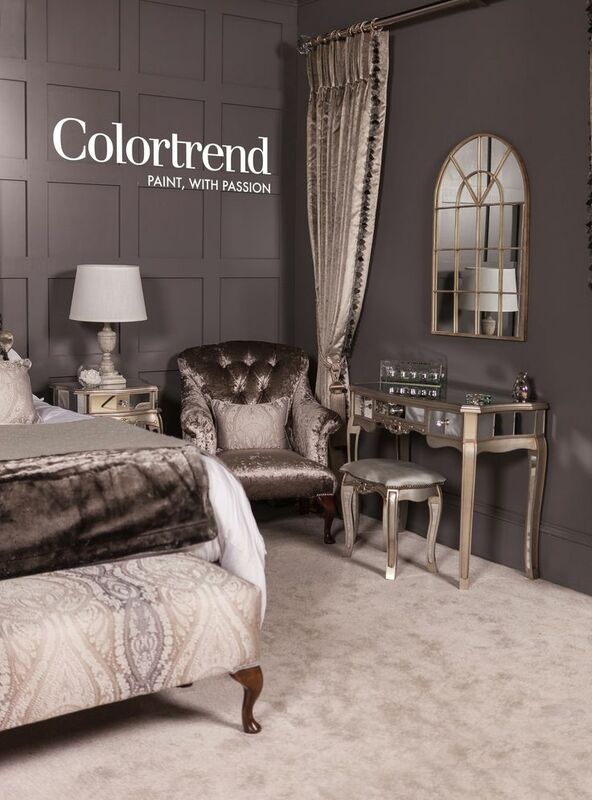 We are also selling the entire contents of our stunning Room Set from the Ideal Home Show…this includes are stunning lined velvet curtains with trimming, our fabulous headboard and our lovely mirror furniture. 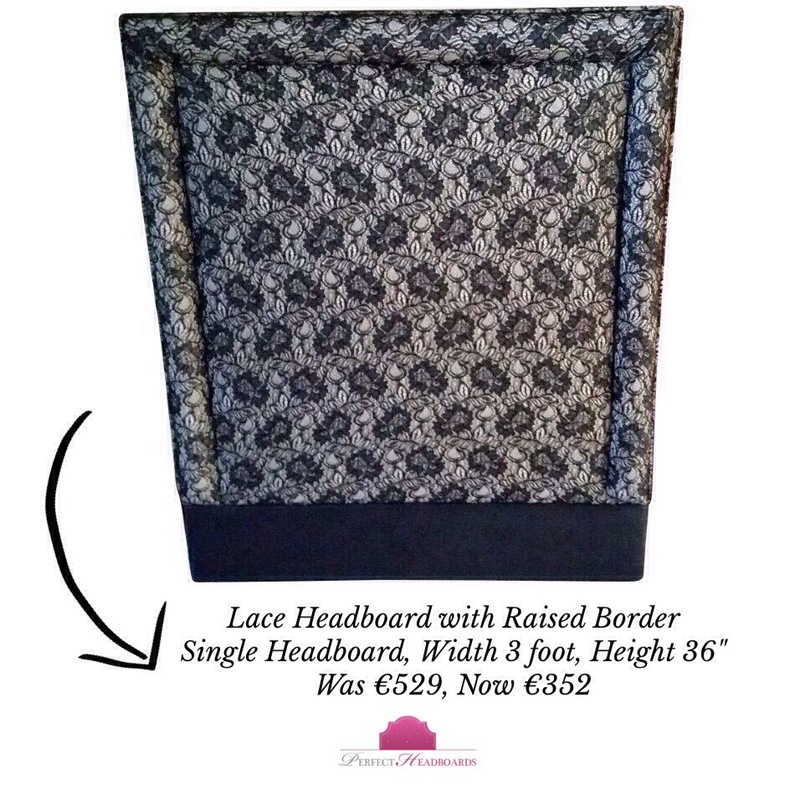 We can either sell this as one lot or as individual pieces. 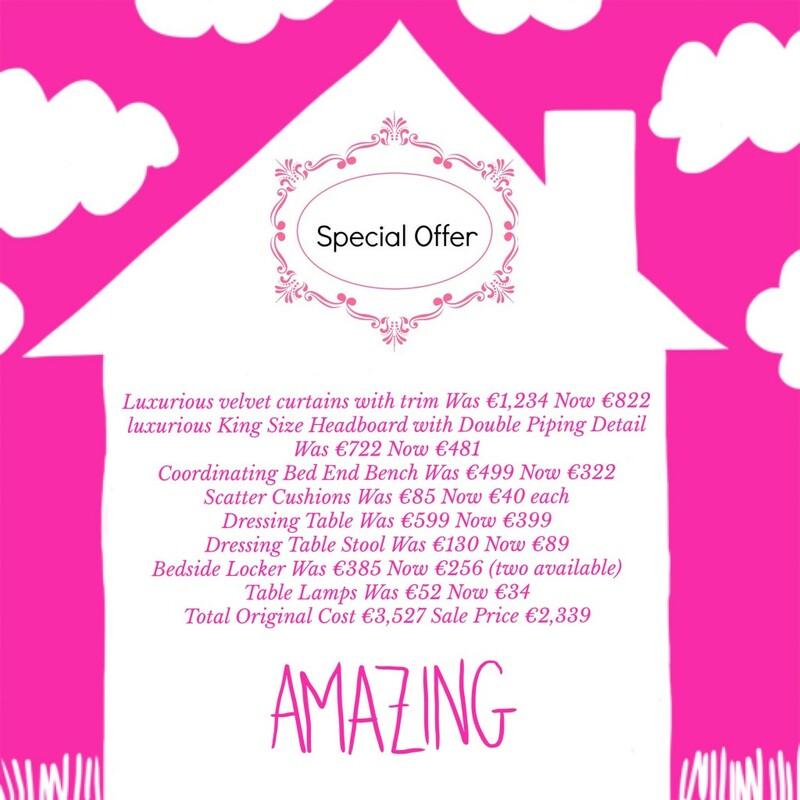 See details of costs below.